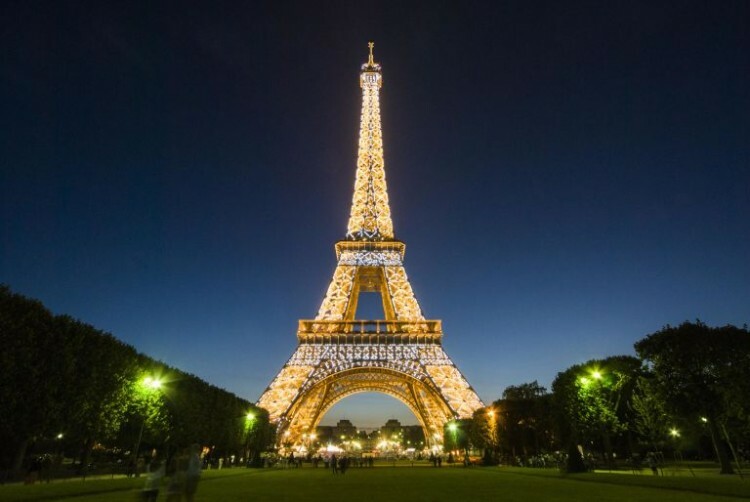 The Eiffel Tower is probably the world famous structure. The tower rising more than 300 meters tall was built for the World Exhibition in 1889. The man behind the Eiffel Tower was the ingeneer Gustave Eiffel with bridge building techniques employed form the basis for the construction of the Eiffel Tower. The iron structure took more than two years to complete. Inaugurated in 889, the Eiffel Tower would be the tallest tower until the completion of the Chrysler Building in New York. Elevators bring you up to the first (57 m high), the second (115 m high) and the third level (276 m high). Each one provides different and interesting views of Paris. The Tower offers groups a series of conference tours, highlighting the history of the monument, its contribution to architecture, and all the scientific and technical applications experimented on the Tower. From hotel Louvre Marsollier take bus 72 at Pyramides to Pont d'Iena in 25 minutes.